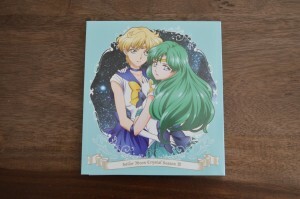 Sailor Uranus and Sailor Neptune will be the next two Figuarts ZERO figures released by Bandai. 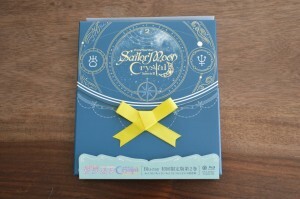 These figures, which are high quality statues, are part of the Sailor Moon Crystal Figuarts ZERO series, which have a slightly different look than statues based on the original anime. 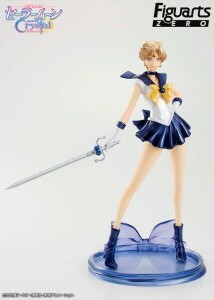 The new figures were announced on the official Sailor Moon site and the Tamashii Nations site. 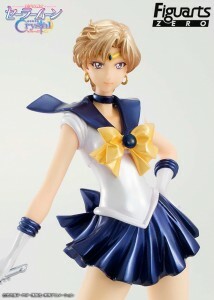 Sailor Uranus will be the first to be released, coming in May 2017 for a price of 5000 yen, about $42 US. The Sailor Neptune figure was also shown in an image on a shared pedestal, though we have no details about this figure except that it will be released some time in 2017. 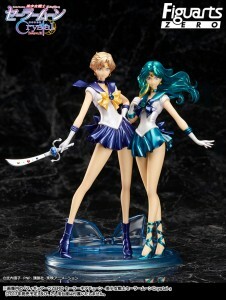 Sailor Uranus is holding her Space Sword while Sailor Uranus has her Deep Aqua Mirror. Do you plan on getting these? Have you been buying any of the other Figuarts ZERO figures? 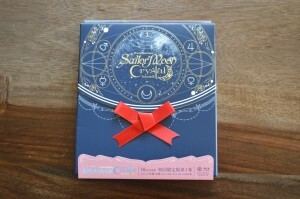 The first of three volumes of Sailor Moon Crystal Season III is now available on Blu-Ray. Volume 1 was released on June 29th in Japan. This is a Japanese language release so there is no English audio or English subtitles. You can import it from sites like Amazon Japan for 6909 yen, about $67 US. This release features four episodes, where the first 26 episodes of the series were only released on disks containing two episodes a piece. This time we get Act 27 parts 1 and 2 as well as Acts 28 and 29. The set comes in a smaller package than the earlier releases, which should fit more conveniently on your shelf. It also includes a 24 page special booklet with interviews and art. 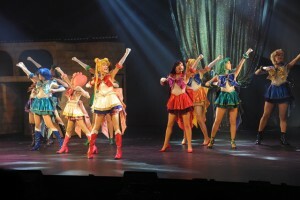 The episodes included are Act 27, Infinity 1 – Premonition – First Part and Second Part, Act 28, Infinity 2 – Ripples, and Act 29 – Infinity 3 – Two New Soldiers. 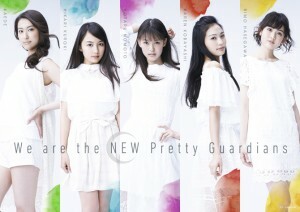 This covers the introduction to the Death Busters, the Sailor Guardians facing off against Eudial and Mimete, meeting Hotaru, Haruka and Michiru as well as Sailor Uranus and Neptune. 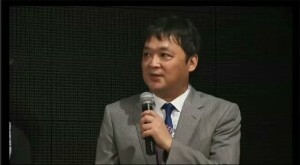 With the first 26 episodes, plagued by sloppy inconsistent animation, a number of minor improvements and changes were done to the animation for the Blu-Ray release. None of this is present here. If you’ve seen the streaming version you’ve seen the version which is presented on this release. It seems they put a bit more time and money into the animation the first time so there was no need for updates. The episodes include an optional audio commentary. 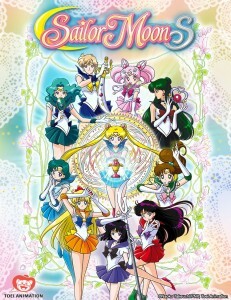 These four episodes all feature commentary by Kotono Mitsuishi, the voice of Sailor Moon, Junko Minagawa, the voice of Sailor Uranus, and Sayaka Ohara, the voice of Sailor Neptune. 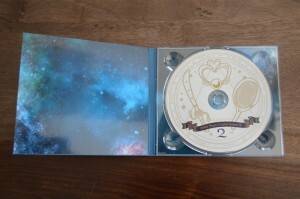 As with earlier releases a 24 page special booklet is included. 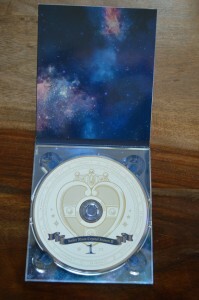 The contents are somewhat like what we’ve seen before. 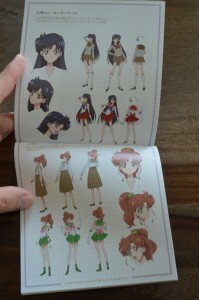 There are episode summaries, interviews and character designs. 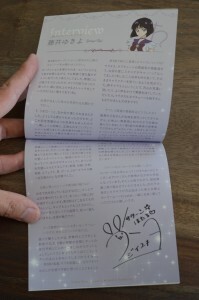 Osabu’s page is not present in this booklet. There are a total of five interviews included. These are with Kotono Mitsuishi, the voice of Sailor Moon, Hisaka Kanemoto, the voice of Sailor Mercury, Rina Sato, the voice of Sailor Mars, Ami Koshimizu, the voice of Sailor Jupiter, and Shizuka Ito, the voice of Sailor Venus. All in all this set is a more worthwhile purchase than the previous sets were. The cost is about the same and there are twice as many episodes. Without any changes in animation though, there isn’t much to get from collecting these when the streaming version is subtitled and free, though not quite at Blu-Ray quailty. Further now that we know that English Blu-Ray sets are coming with entire story arcs costing close to what a single Japanese disc does, it seems a little pointless for an English speaking North American fan to buy these Japanese only releases. 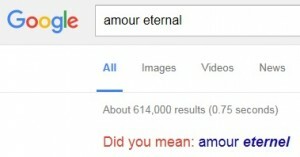 All said we haven’t seen the English release yet. It seems unlikely that it will be plagued with terrible video quality like all North American releases of the original series have been, but that’s still a possibility. We may find that this is the better quality set to have when all is said and done. The French DVD and Blu-Ray came out last week and seems to be of exceptional quality though, so it seems likely the English release will be the same. The next set will be released on July 27th and can be pre-ordered from sites like Amazon Japan. 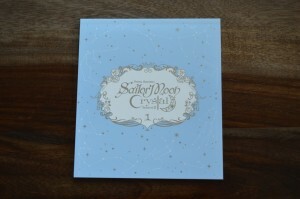 It is similarly priced at 6909 yen. 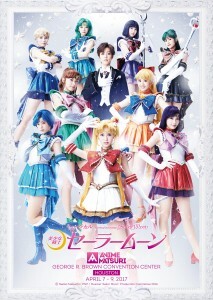 It will include four episodes, Acts 30 to 33, bringing us to Sailor Moon’s transformation into Super Sailor Moon and the first flashback look at Sailor Saturn. 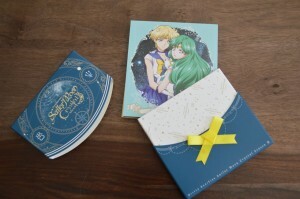 Keep reading for more photos of the packaging and all pages of the included special booklet. 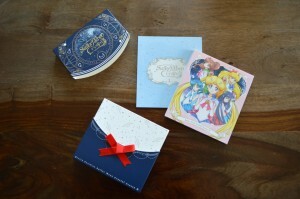 Here at Sailor Moon News I occasionally get questions via e-mail, Facebook or other social media accounts. The vast majority of those questions in the past 6 months have basically been “When are we getting the new English dub of Sailor Moon S??!!”. I respond with words but I never really have a good answer and we still don’t have one. 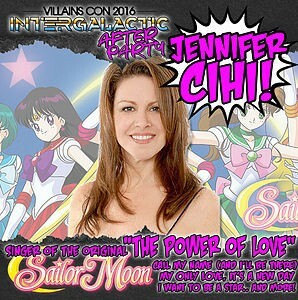 Here’s a clip from that new dub from Viz’s official Sailor Moon panel at MomoCon yesterday, May 28th, at 7pm in Atlanta Georgia. 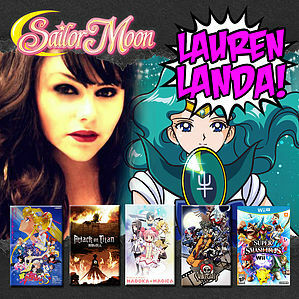 This clip features Erica Mendez as Sailor Uranus and Lauren Landa as Sailor Neptune from Sailor Moon S episode 106, The Bond of Destiny: Uranus’s Distant Past. Both voice actors were announced almost a year ago on July 3rd at Anime Expo. Yes we have been waiting a really long time to see these episodes! The video caption says “More news soon!” and we certainly hope this is true. With other new dubbed episodes they are usually announced with some clips and then a Moonlight Party when they appear on Hulu. This is usually part of an advertisement campaign for the next home video release. Season Moon R part 2 has been out since October and was announced long before that. Here’s hoping for something “soon”! Update 2016-05-31: The original clip was removed so I’ve added different footage from the same YouTube user comparing the new dub to the original.